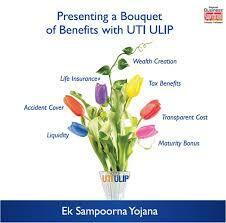 UTI ULIP is the first insurance linked mutual fund product in the country. Launched in 1971, the scheme has a performance track record of over 45 years spanning across different phases of market. The scheme has more than 2.7 lakh investor accounts. ULIP a smart investment plan.